Incorporation protects your volunteers’ assets from personal liability. Nonprofits need their own EIN, also known as a federal tax ID. IRS 501(c) status is needed to participate in grant and scrip programs, and to allow donations to be tax-deductible. Most states require registration prior to fundraising or conducting BINGO or raffles; you also must apply for state sales tax exemption. Get a free PDF version of our QuickStart Guide to print and share. 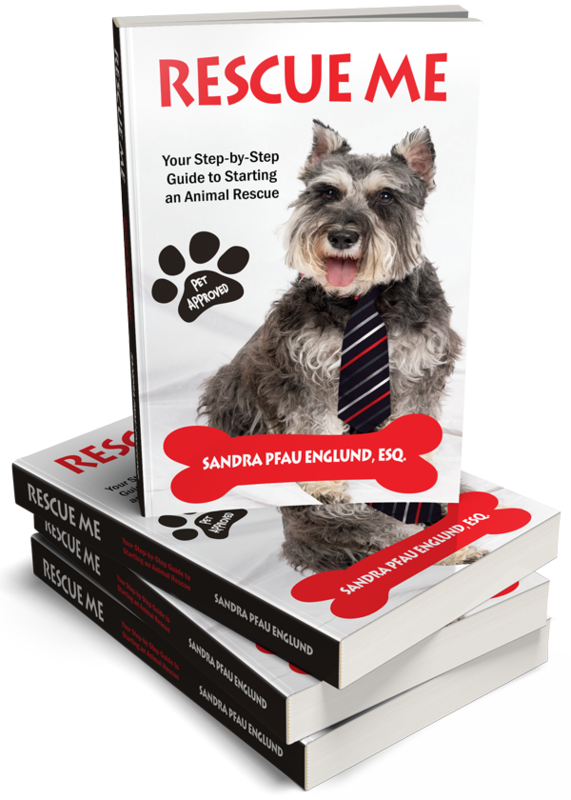 RENOSI’s founder, Sandra Pfau Englund’s book, Rescue Me: Your Step-by-Step Guide to Starting an Animal Rescue, has been called the “animal rescue Bible” by many who have it on hand for all their meetings. Get your copy of the book today. Or ask your local book store to order a copy.